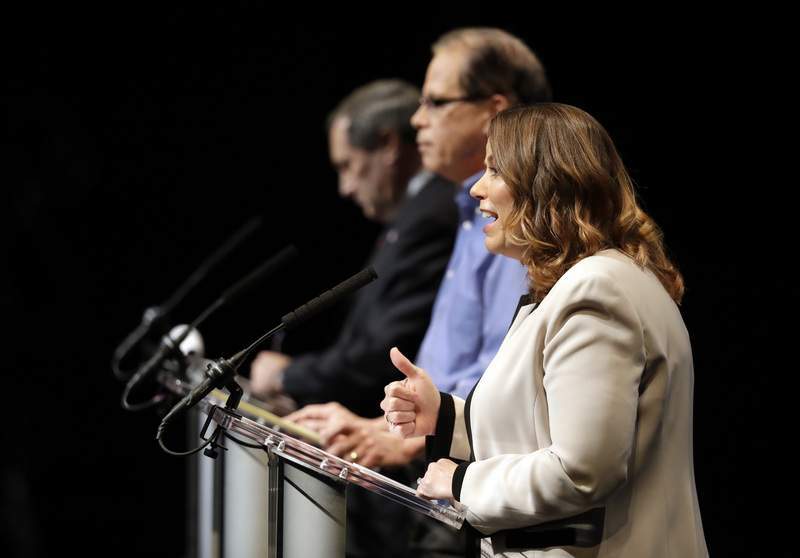 INDIANAPOLIS – The three candidates for U.S. Senate tackled hot-button topics including birthright citizenship and Saudi Arabia Tuesday night alongside some more traditional debate fare. 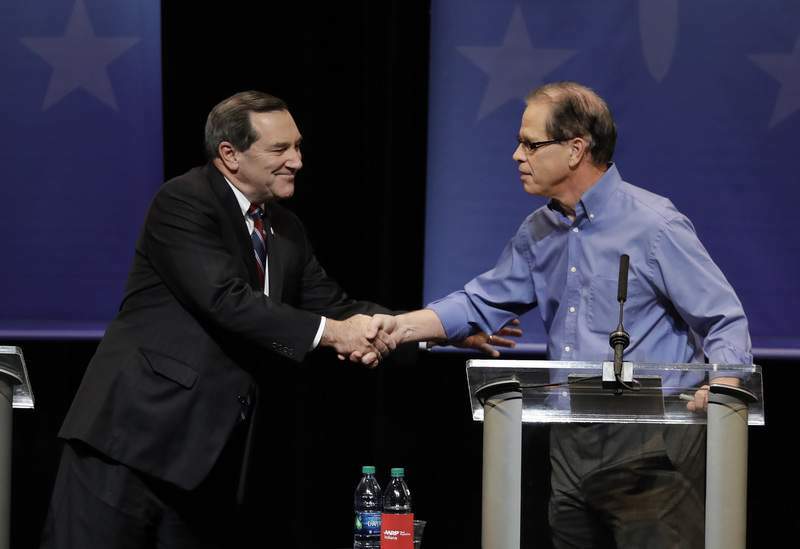 It was the second and final sparring contest for incumbent Democratic Sen. Joe Donnelly, Republican businessman Mike Braun and Libertarian Lucy Brenton before next week's general election. PBS Moderator Amna Nawaz started by asking the candidates whether they would vote for a bill in Congress to eliminate birthright citizenship. This comes after President Trump made news saying he would try to use executive powers to end the policy of those born in the U.S. automatically becoming citizens even if the parents came illegally. Donnelly stressed that birthright citizenship was established in the 14th Amendment of the U.S. Constitution and wouldn't take a stance before reviewing any legislation. Braun said America can't keep kicking the issues down the road but also wouldn't be definitive. "It's something to take a look at," he said. "I won't say if I support it or not until I read the legislation." Brenton was unsure if Congress can eliminate that constitutional provision without an amendment ratified by the states. After the debate, Brenton elaborated by saying, "President Trump is not our king. He doesn't get to unilaterally decide." 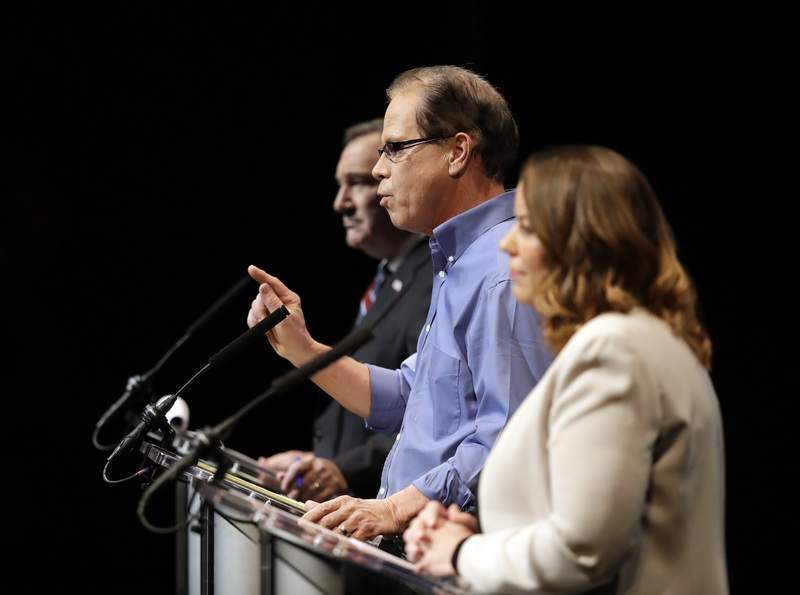 The candidates also were asked about Trump's support of Saudi Arabia despite the killing of Saudi journalist and government critic Jamal Khashoggi, who went to Indiana State University. "Why are we still playing footsie with regimes that murder?" Brenton asked. She said the reason is oil, and the country needs to focus on alternative forms of energy. Donnelly said after reaching out for information and reading classified materials, it is clear the Saudis murdered an Indiana journalist and he supports a temporary halt of arms sales to the country. Khashoggi graduated from Indiana State University. Braun was the only one to generally side with Trump, saying the president has promised to get to the bottom of the death. "I do support his leadership and the way he will handle the Saudis will be to hold them accountable for a horrific act," Braun said. But he noted Trump will take the bigger picture into consideration. One topic that came up repeatedly during the debate was health care – specifically, how to keep premiums affordable. Brenton said government needs to stay out because "when government gets involved with things it gets more expensive and less efficient." Donnelly pointed out repeatedly that Braun's company has insurance with a $10,000 deductible for families – a claim Braun didn't deny. Instead, Braun focused on his freezing the low premiums his employees pay. "Only one person has actually done what you are talking about," Braun said. Donnelly also said Braun supports a lawsuit to end the Affordable Care Act, including its protections for preexisting conditions. 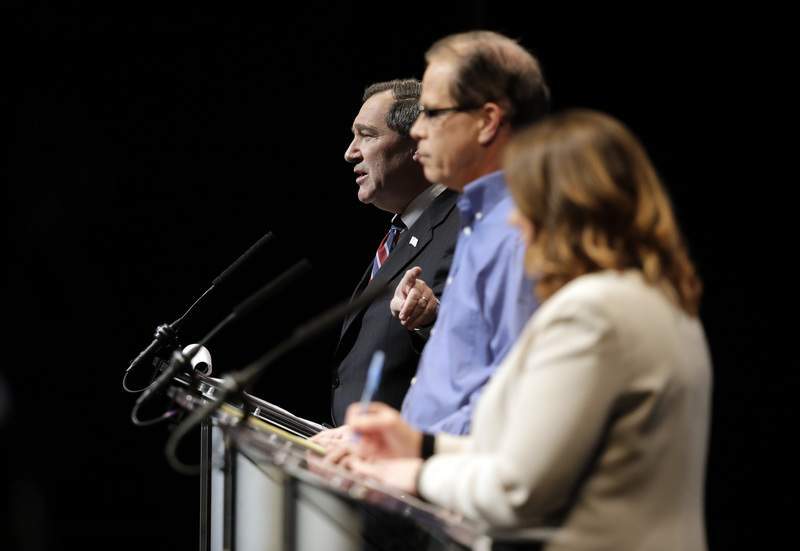 "Those are the facts and he can't deny them," Donnelly said. Braun promised he would support keeping coverage for preexisting conditions. The final question asked each candidate to name a top priority if elected. Brenton said she would focus on reducing the size of government. Braun said he wants to lower the cost of health care but said that can't happen with the people now in Congress. 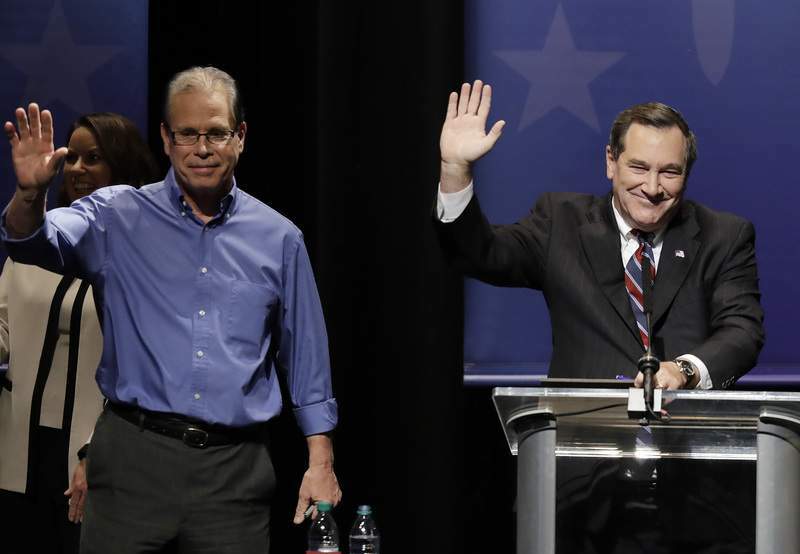 Donnelly said he wants to end the "opioid scourge so that every Hoosier can make it home."